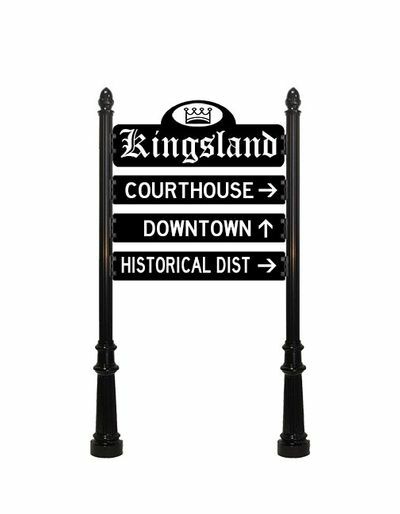 The design team at Capital StreetScapes will create custom decorative street signs using state-of-the-art materials to ensure an aesthetically pleasing and long-lasting product your community will be proud of for years to come. 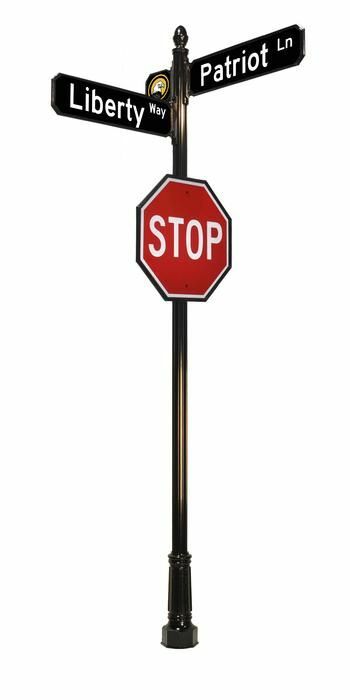 All Capital StreetScapes street sign posts, street sign bases, and hardware are made from recycled cast-aluminum and guaranteed to be both long lasting and aesthetically pleasing. 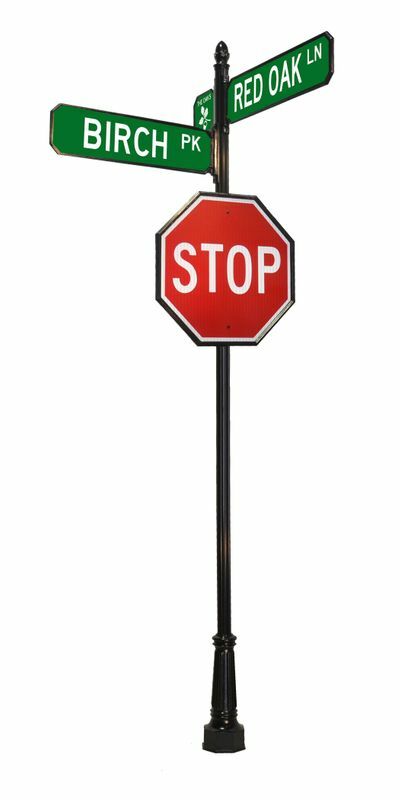 Our selection of street signs and street sign components are designed to match enhance your neighborhood or district with high-quality parts and accessories. Contact an experienced sales team member at Capital StreetScapes for help deciding which products are best suited to fit your budget and project guidelines.